Take productivity to the next level. 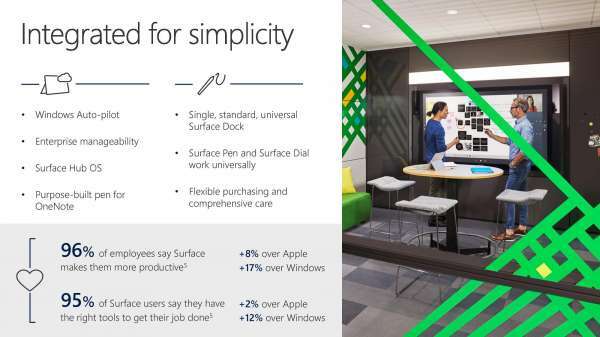 The Surface family of tools and devices empowers your customers with a game-changing software + hardware ecosystem to push the boundaries of their digital transformation. It’s never been easier to sync with teams, meet deadlines, and keep projects on track, because the Surface family extends the power of Microsoft software and tools for real-time collaboration and interaction. Stand by for true transformation of the productivity landscape.